A Heavy Metal Rocker Instant Kit including a Wig, Glasses, and Bandana – Ideal for any 80s theme, Punk theme, or any fancy dress occasion! Make an instant transformation with this fantastic Heavy Metal Rocker Instant Kit. 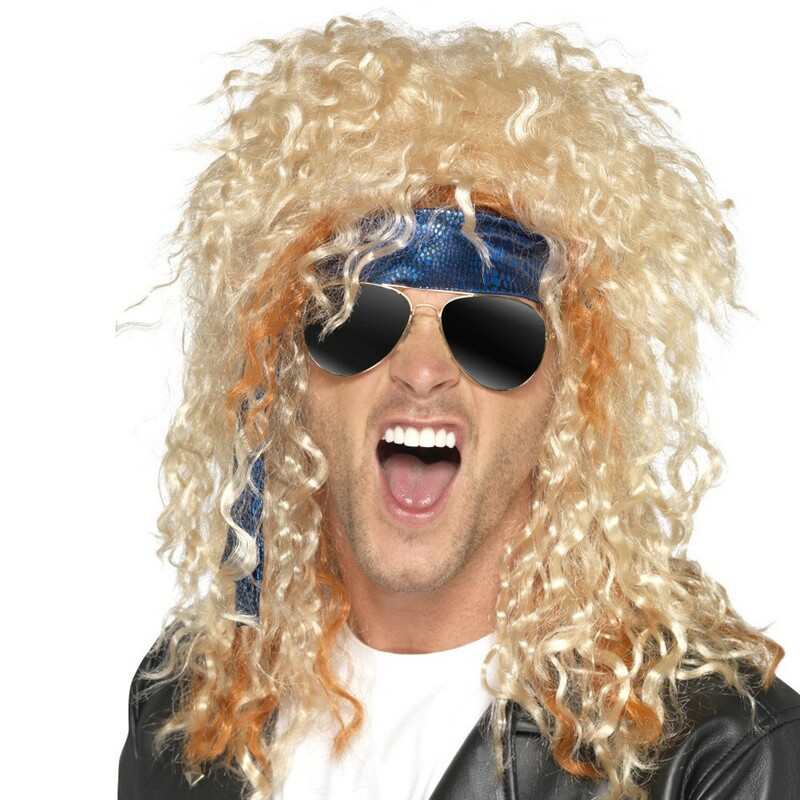 This Heavy Metal Rocker Instant Kit comes complete including a Wig, Glasses, and Bandana. 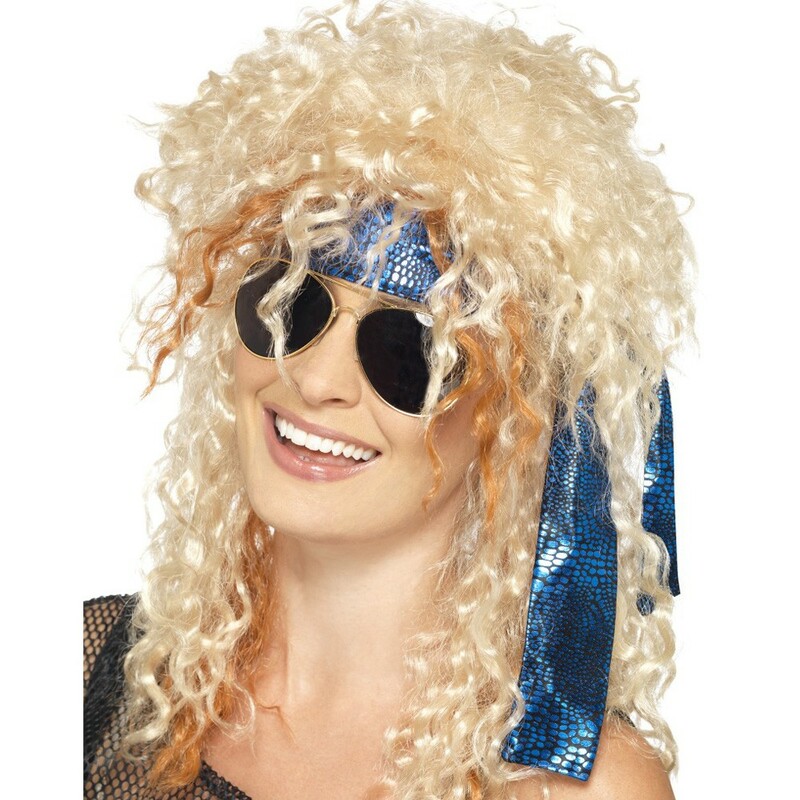 The long blonde curly wig features a Rocker style and combined with the Black Glasses that feature a metal frame, and the Blue Bandana, this Heavy Metal Rocker Instant Kit is sure to be an instant success for any party. Quick, simple and easy to wear, this Heavy Metal Rocker Instant Kit will is perfect for a 80s theme, a Punk theme, a Rock theme, or any fancy dress occasion! So enjoy your Rock Star identity with this fantastic Heavy Metal Rocker Instant Kit. A Heavy Metal Rocker Instant Kit.